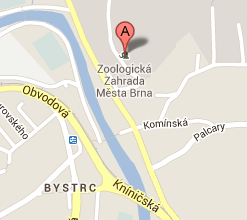 Entrance to zoo is possible only with a valid ticket. Entrance of dogs is allowed with a person older than 15 years after a valid ticket purchase. A dog had to be on leash during visit. Entrance of children under 10 years is allowed only with a person older than 15 years. A leader of mass excursion is responsible for whole group safety. For a children safety is responsible their accompanist. Please, follow all instructions of zoo staff and instructions on information boards! polluting zoo area – garbage belong in trash baskets! Every extraordinary events (found items, accidents…) report at the zoo gatehouse please. Entrance of visitors before and after opening hours is not possible. After a violation of zoo rules zoo worker can call police, which will take such visitor out from the zoo. Zoo is not responsible for any loss or injury of visitors, which originated in connection with violation of zoo rules.